Did you know that Bergakungen offers full hotel service to business guests during the week! At Bergakungen you will fall asleep in a quiet and peaceful environment. In the morning we knock on the cabin door with a complete breakfast tray that you can enjoy in peace and quiet. Cleaning and dishes are taken care of when you have left. What distinguish us from an ordinary hotel is that you will get a whole 40 square meter cabin instead of a tiny hotel room. 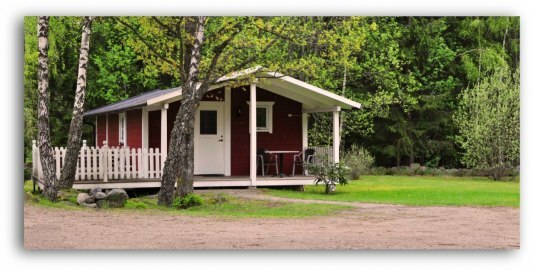 All our cabins have a bathroom equipped with shower, bedroom with 4 beds and kitchen/living room with TV. Price: 930 SEK for one person in a single room. Adding additional persons in a cabin costs 200 SEK per person.